The title means hands that create. It’s an exhibition by the Swedish Handicraft organisation where I live. 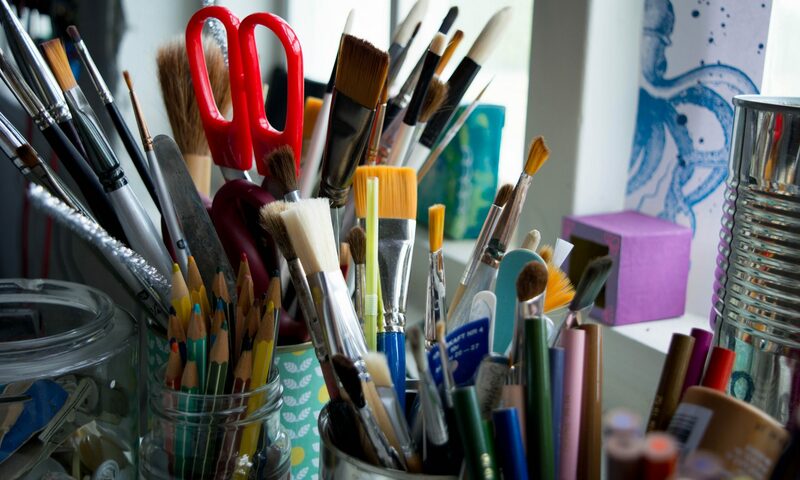 It’s an organisation with ties to the Swedish arts & crafts movement, and with traditional crafting.They’re celebrating 100 years this year, and to celebrate this they’ve invited around 300 artists and crafters to showcase their work. I contributed with this shadow box. The exhibition is at the Smålands Museum in Växjö, and if you want to check it out it’s there until the end of August. A beautiful shadow-box! I enjoy your work on Instagram, too.